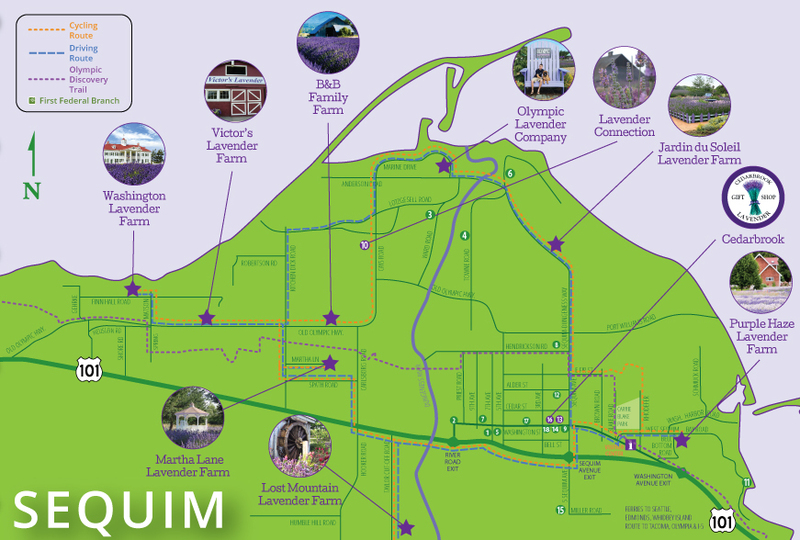 What is the Sequim Lavender Experience? Sequim Lavender Experience is a co-op of agritourism lavender farms and gift shops, working both independently and cooperatively in the Sequim-Dungeness Valley. Each farm reflects the unique vision and personality of its owners and the surrounding landscape. These destination farms are open to the public throughout the growing season, and many extend their hours well beyond the summer months. Each gift shop offers a diverse and broad selection of handcrafted lavender products made with the finest essential oils in the valley. Whichever farms or shops you visit, you’ll enjoy beautiful fields of lavender and high-quality lavender products created by these lavender professionals. But the Sequim Lavender Experience is also an invitation to visitors to come and experience the beauty of the Sequim-Dungeness Valley with its vast landscape of iconic lavender farms and gift shops. Throughout the peak months of July and August, the farms produce and host a variety of lavender festivals, educational workshops and demonstrations, crafting opportunities, live entertainment, kids’ activities and more. Many even offer lavender food and beverage. Be sure to check each farm’s listing as well as the events page to see what’s on the calendar. But perhaps you’d rather enjoy a leisurely stroll when the fields are quieter. There are many other days and weeks in the summer that beckon.